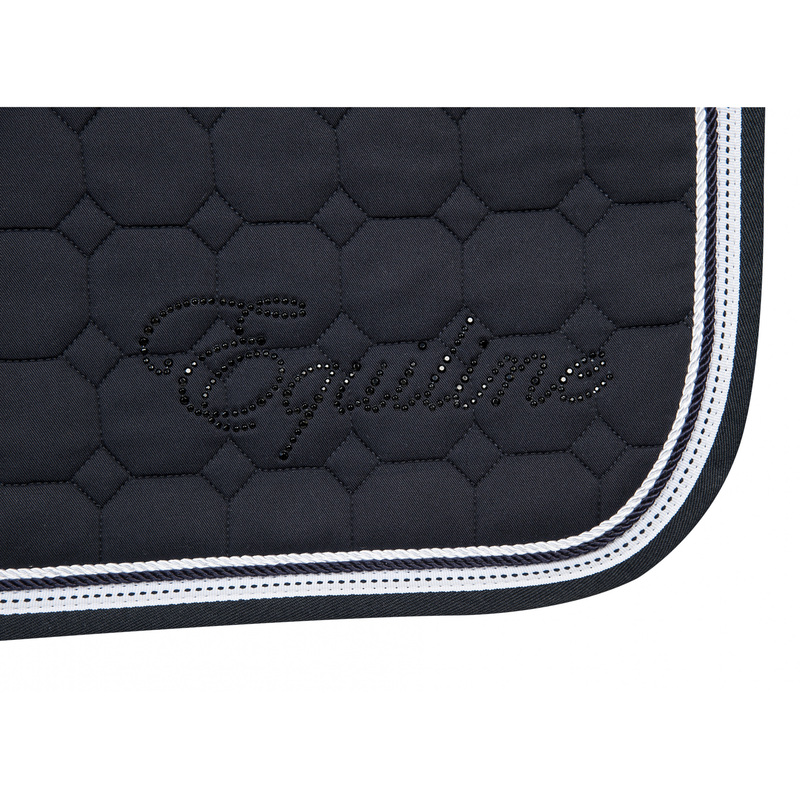 Katia Octagon saddle pad, apart from its exquisite quilting, is decorated with a subtle Equiline writing formed of sparkling crystals. 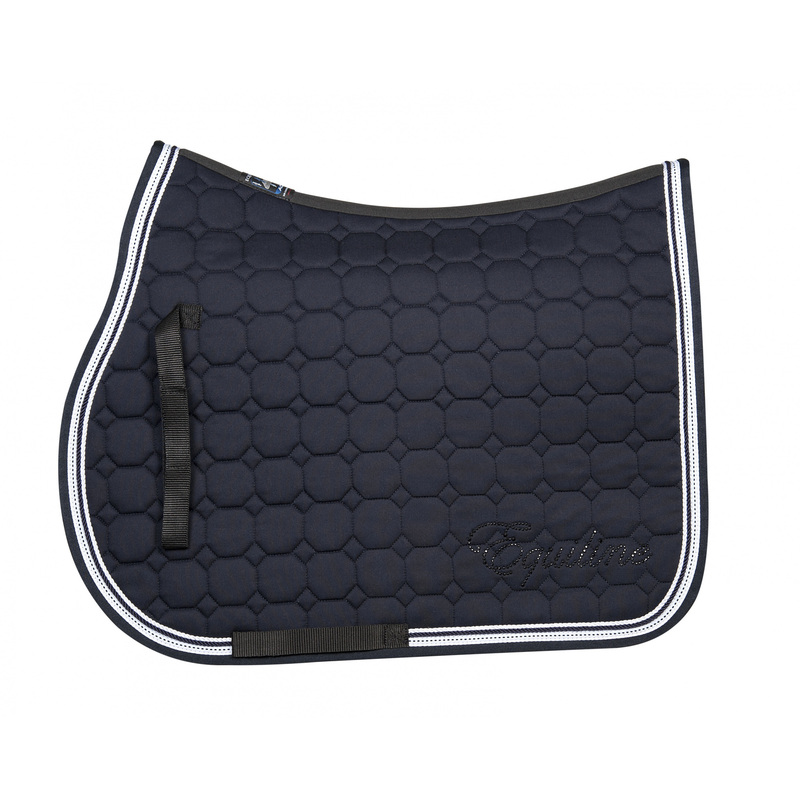 The pad is very soft, padded with 900 g filling. 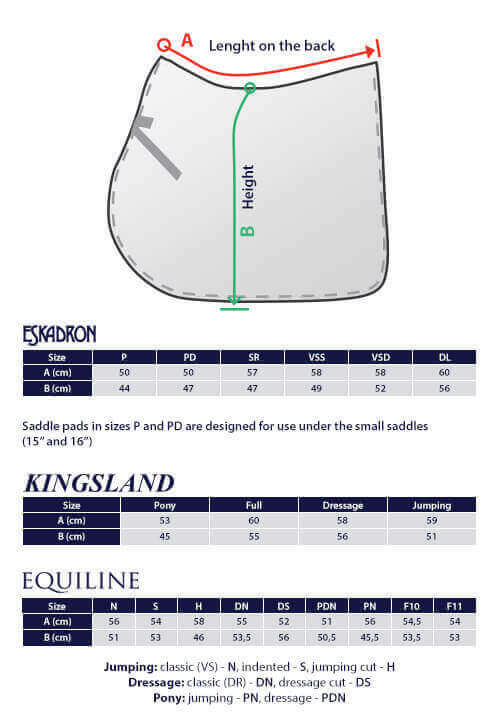 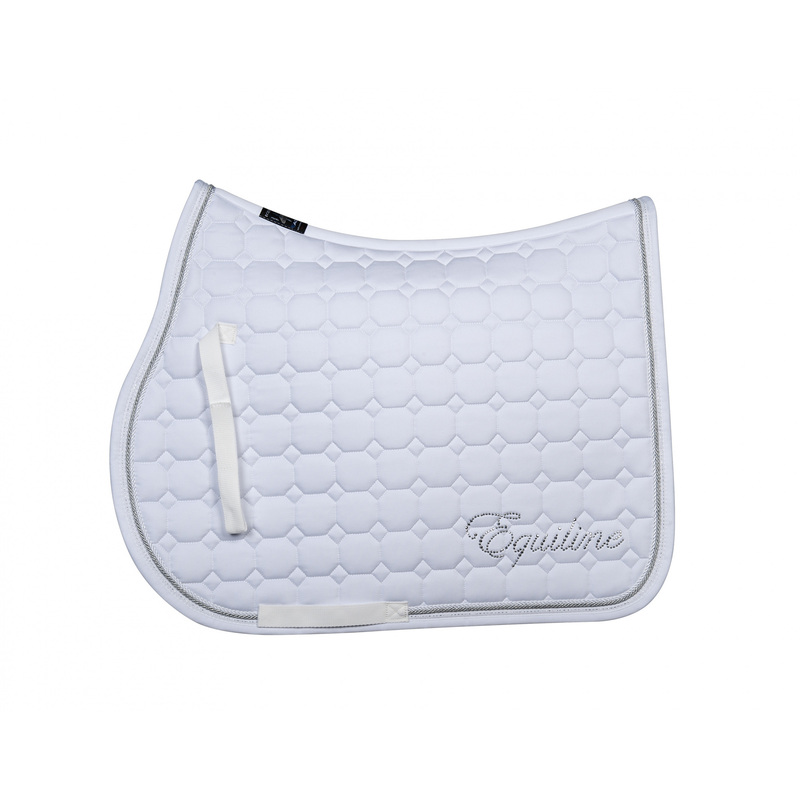 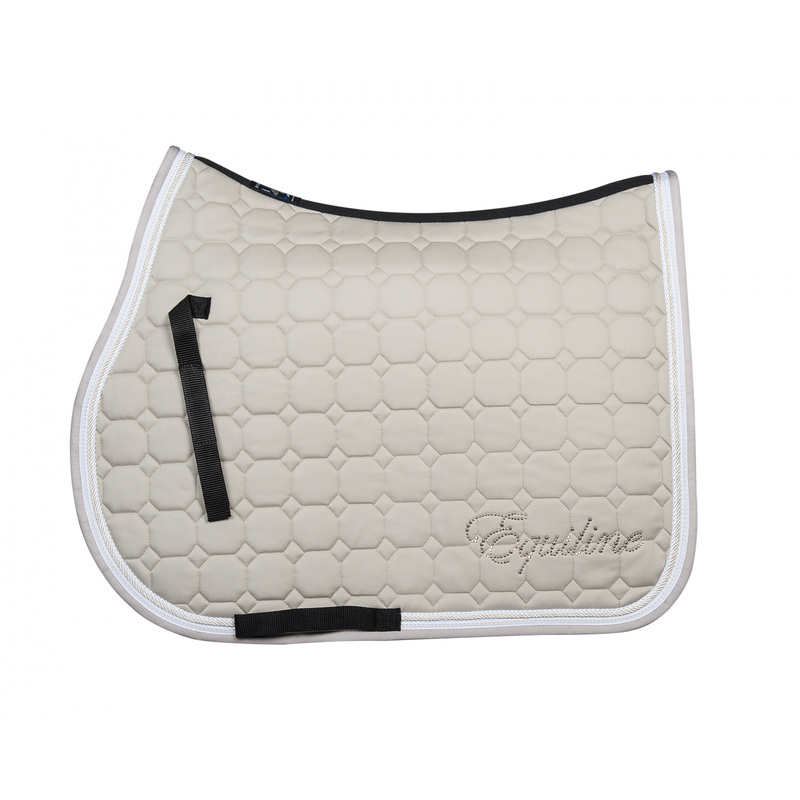 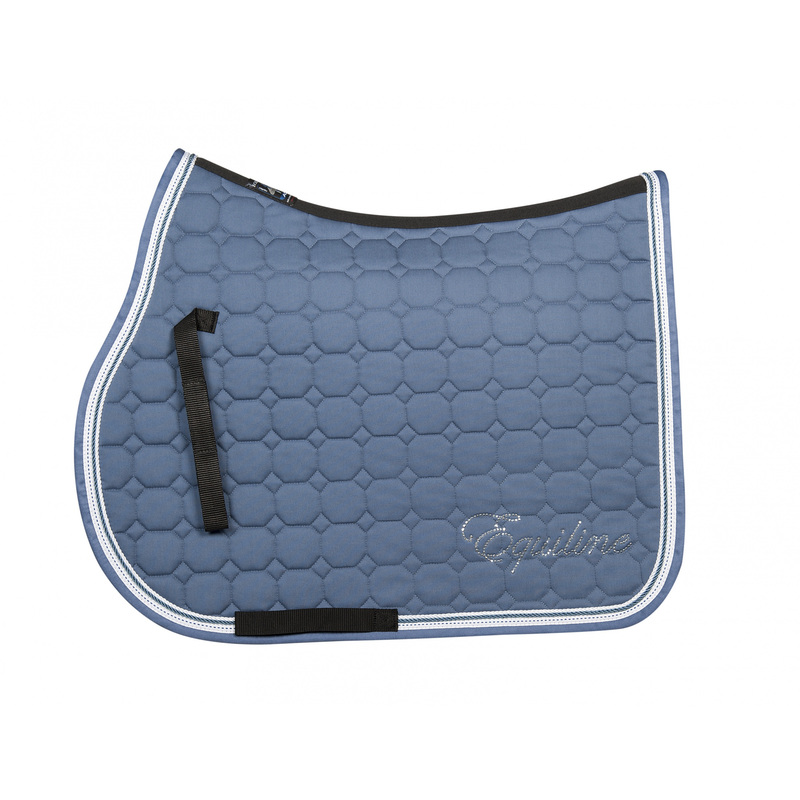 The applied ACS technology developed in cooperation with Equiline team improves breathability and quick drying of the pad, which improves the horse's comfort. 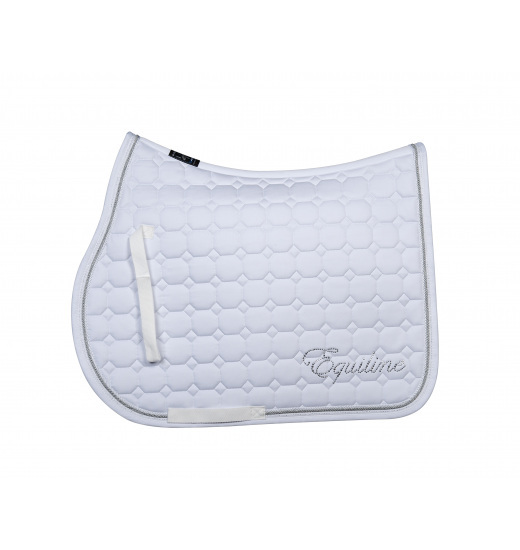 What is more, the pad was designed in such a way that it absorbs shocks produced by the rider. 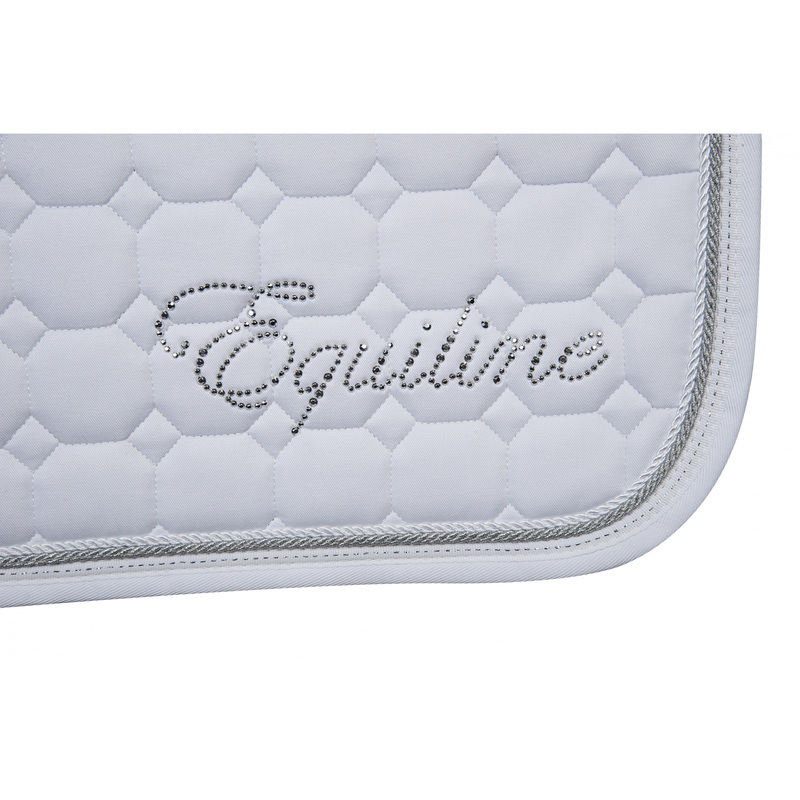 It is decorated on its edges with a contrasting white string.